A new baby is a blessing. After the excitement of earning you’re expecting sinks in you’ll start the process of procuring essential baby items and making important decisions like whether you will breastfeed or formula feed. Part of breastfeeding involves pumping milk to serve to your child at a later point. 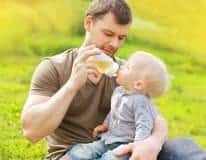 Investing in a bottle warmer specifically designed for breast milk can be extremely helpful in these instances. We’ve done the hard work to research a multitude of brands and models and came up with the top 8 bottle warmers for breast milk. The First Years Quick Serve Bottle Warmer is a compact model that can quickly heat a wide variety of bottles. It includes a measuring vial that helps you to anticipate how long to warm and features a safety auto shut-off. The First Years Warmer is great at multitasking. It can be used to heat baby food jars and sterilize pacifiers as well. This option has a recommended time chart to make heating breast milk up easier and safer. It’s easy to use as well. After ensuring the unit is plugged into a power source, simply measure out the correct amount of water in the measuring vial and pour it into the base. Then you place your bottle in the unit and turn it on. Then after waiting the specified time for the amount of milk you are heating it will turn off and you can remove the bottle. The warmer is made of stainless steel and plastic. It would be an excellent choice for those going for car trips, as it does not rely on electricity. Instead, it has a thermal flask that keeps the water warm. The plastic material is BPA-free so no need to worry! The lid is also well secured to avoid water spilling when opening. It is easy to use, as you will just be required to fill the flask with boiled water, which you will then pour into the upturned frosted container to warm the bottle. This bottle warmer has a compact design allowing it to fit in the bag readily. The Kiinde Kozii offers a safe and fast way to heat breast milk, formula, or baby food in bottles, storage bags, or jars in a huge variety of shapes and sizes. The Kiinde Kozii features patent-pending technology that makes it the only warmer that follows CDC guidelines for the safe and effective thawing and warming of breast milk. This option uses a low temperature, nutrient-safe water bath that will safely heat the breast milk without damaging the essential nutrients contained within which is a huge issue when trying to heat it. This warmer can accommodate up to a full 8-ounce storage bag of milk or food. It features an easy to see timer knob and when it is done it stops warming completely to alleviate risks of overheating or damaging the nutrients. This model is slightly higher priced than others, but it more than makes up for it with its ease of use, safety features, and amazing technology. The Maxx Elite Gentle Warm Smart Bottle Warmer & Sterilizer Helps ensure your breast milk doesn’t lose any essential nutrients during heating. This model uses “gentle warm” technology in which it warms the milk gently to eliminate scorching and overheating. It also features a steady warm setting that will keep milk at the optimum temperature for up to 4 hours and an express warming feature to heat faster. The Maxx Elite can also be used to sanitize making it a great option for night feedings and multitasking as well. The Tommee Tippee Travel Bottle and Food Warmer is an excellent option for moms and dads on the go. This option features a non-electric design that utilizes warm water to heat making it perfect to use in the car or at the park. It’s portable, convenient, and easy to use. After you allow boiled water to cool slightly, pour it into the stainless-steel flask which acts as a thermos to keep the water warm. When your baby is ready for a feeding, you can easily pour the water into the plastic container and insert your bottle. The Tommee Tippee Travel Warmer works with a wide variety of bottle brands. This warmer bottle has a water chamber that can heat several bottles before refilling. It is easily compatible with both standard and wide-neck bottles. The Dr. Browns Bottle Warmer is easy to operate, especially if you are like products with less sophisticated technologies. It has a button that starts off the warmer. It comes with LCD panel, which illuminates at night signaling that the preferred temperature has been reached. Besides, it has a memory function that allows you to set your preferred heating period. This bottle warmer might be apt for those who use the same size of a baby bottle. One advantage of this bottle warmer is that it can also warm up baby food jars. It gives a slow but steady flow of heat, thus doesn't destroy natural enzymes and nutrients as a result of overheating. The warmer is capable of handling milk from the freezer, making it appropriate for breast milk. The Boon Orb is a cool looking bottle warmer. It is an auto-off steam heating bottle warmer. It has a calibrated tube for measuring water to be steamed and an auto-off feature. Ideally, the warming chamber fits different shapes and sizes of bottles. However, it is not compatible with wide-necked bottles. The base is made of a no-skid material providing adequate stability. It is also BPA-free and phthalate-free. Having stainless steel warming chamber, this warmer is resistant to rust and corrosion. Besides milk, the Goloho Baby Bottle Warmer can also be used to warm food and in sterilizing pacifiers. The warmer is BPA-free, thus no need for health worries. It is readily compatible with regular sized bottles but would have some difficulty with certain brands of wide-necked bottles. Just like the name at the end, this bottle warmer is among the easily portable. It has a compact design, making it easy to pack in any bag. The warmer is also easy to clean ensuring a safe meal for the baby. Whether to use a bottle warmer or not is a personal choice. While you can use other methods to heat bottles, it can make night feedings easier. It can be very convenient to own a warmer to help you safely, easily, and consistently heat several bottles during the day as well. A bottle warmer saves you the time and energy you would use when checking the microwave or stove. Unlike a stove or microwave, the warmer will keep the milk warm all way through. The temperature will also be moderate, thus alleviating the possibility of burning your child. A bottle warmer is ideal for travel or vacation. Unavailability of electricity will not condemn your baby to drink cold milk. A bottle warmer should be user-friendly. It should be easy for you to set up once you buy and at the same time less complicated in operating. Some warmers come in simple, one-piece unit with very minimal maintenance requirements. Others are a unit plus some other additional pieces that would require some level skills. The warmer should not take a lot of your time to operate while the baby is screaming on top of its lungs. Therefore, a unit that will take you the shortest time in learning how to use is recommendable. Available bottle warmers utilize different heating technologies. In essence, your choice of a bottle warmer should have features that suit your needs. Some bottle warmers use a chemical reaction to create heat while others rely on water and steam bath. Regardless of the technology, the warmer should be able to provide warm milk in the most reasonable time possible. The warmer should be able to be reliable, with a consistent performance. 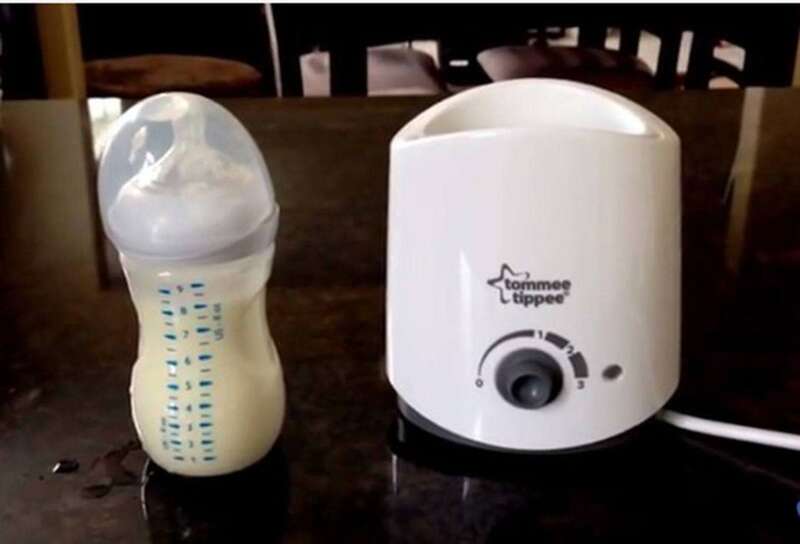 Considering that babies are not very patient, you don't want a warmer that takes a whole thirty minutes to warm the milk. Some warmers have added features that allow the heating of baby food jars with a special basket. You can also sanitize bottles, pacifiers, and other items with some models. Know what features you want included can help you when choosing which is best for you and your needs. It’s important to know that your warmer will not take up too much counter space and that it could be taken with on vacation or to a babysitter’s house if necessary. 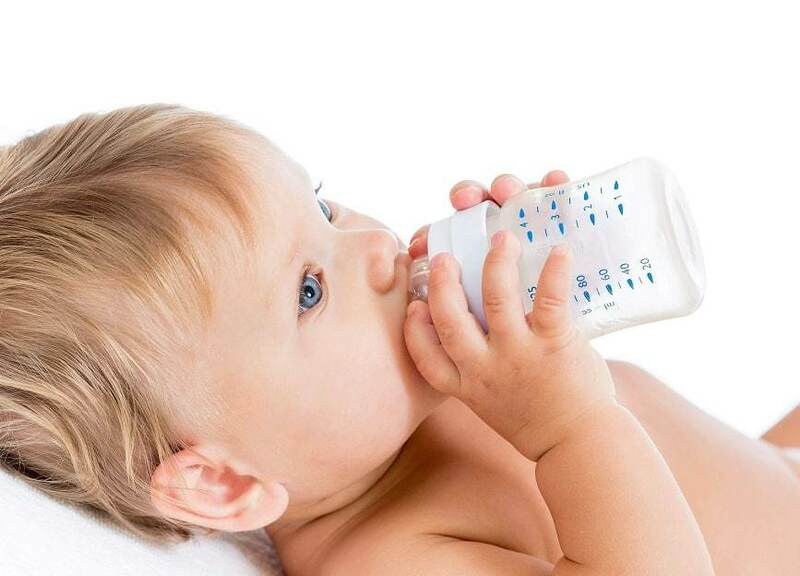 Baby bottles come in different sizes, materials, and shapes –narrow, wide, short, and even tall. Your choice of a bottle warmer should be versatile in that it can be used with any size of a baby bottle. The warmer should also be readily compatible with the material of the bottle. Safety features are very important. Ensuring your warmer includes an auto shut off can help ensure that the milk does not reach scalding temperatures. You may also want to get an option with an audible beep that lets you know when the bottle is ready. This can make it much easier to multi task while waiting for the bottle to heat to the perfect temperature. There are many bottle warmers in the market. Your choice of a bottle warmer should have excellent features. For instance, some bottle warmers have an auto shut off, timer, or signal. A bottle warmer that will automatically switch off and notify you would essentially be preferable. Such warmers rely on timers or temperature changes. Also, bottle warmers with insulated casing will keep the milk warm for a longer period. It is advisable to choose a bottle warmer that is portable and will fit into your bag. It should also be independent of electricity as you may need to use it where there is no access to electricity. However, there are some that can be plugged in cars. Also, try to find a warmer that comes with its carry case. In this case, maintenance will mainly involve keeping the warmer clean and efficient. Although cleaning might not be a daily requirement for most warmers, it is recommendable to pick one that requires a reasonable level of maintenance. It should be reinforced by proper handling of the warmer to avoid spilling milk in the warmer. The major issue, however, is the possible accumulation of mineral deposits in some parts such as the warming chamber and heating component. You should also be able to do some minor fixing in case the warmer has some inefficiency. When planning to buy a bottle warmer, convenience, efficiency, and affordability should be the key issues. The market offers a diverse range of options with unique features. The ﻿﻿First ﻿﻿Years Quick Serve Bottle Warmer essentially sums up the essential features you would want in a bottle warmer. It is affordable, works with an array of bottles and important automatic functions. Just, it will give you value for your money and will serve you for a reasonable period. The Bump: Do I Need a Bottle Warmer?